A young boy wakes up on the morning of Tish'a b'Av and discovers the possibility of a better world. 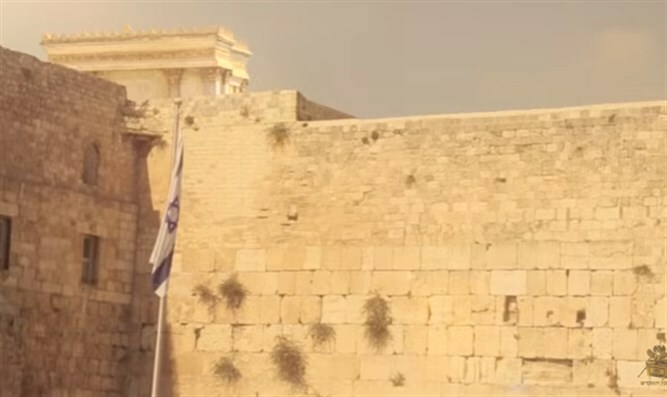 As Jews worldwide begin to observe the nine days of mourning for the destruction of the Holy Temples, the Temple Institute has released a poignant new video to reframe the mourning period and awaken world Jewry. The current video is the fifth in the “Children are Ready” series, and artistically takes the viewer on a walking tour of Jerusalem through the dreamy eyes of a child, fifty years after the holy city’s reunification. The video ends with a twist of fate that challenges the viewers’ preconceptions of Tisha B’Av as a day of eternal mourning despite Zachariah's prophecy that it would one day become a day of great joy with the rebuilding of the Third Holy Temple. The Temple Institute is the leading center of research and preparation for the Holy Temple. In addition to educational activity focused on the centrality of the Temple Mount and Holy Temple, the Institute has also recreated over 70 sacred vessels for use in the Third Holy Temple.